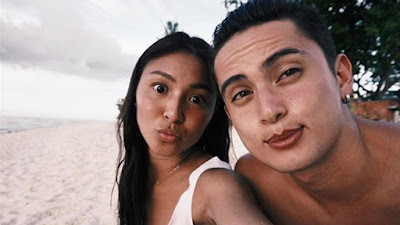 Recently, someone uploaded a video of his travel to Calatagan, Batangas. At the latter part of the video, the group started to pick up the sea stars and some even put it inside their mouth. This raised concerns, (1) due to the ecological hazards, and (2) due to the potential health hazards. Yes, touching or holding them for a short while wouldn't hurt the sea star, so long as it stays in the water. Holding sea stars for selfies is very common among tourists. However, if everyone did the same thing and held the sea stars above the water for longer periods, eventually the sea stars would die! Sea stars are important general predators in marine ecosystems. In nature-based activities, ideally, there should be a no-touch policy. We are, however, for sustainability in travel. We want to minimize impacts on the environment whilst maximizing the tourist's experience. Still, the environment is our top priority. The best option is to avoid touching the wildlife; but if you really, really, really find the need to have your photos taken with the sea star, ensure responsible handling! (1) DO NOT take the sea star out of the water! Placing the sea star out of the water even just for a few seconds can lead to irreversible tissue damage; and longer periods can cause the sea star to dry out and die. (2) Handle the sea star with care. Be gentle while picking it up, ensuring no damage in the tube feet. If you hold it, do not bend or break its arms. (3) Do not touch the sea star if you put on sunscreen. This can be toxic to them. (4) Place it back exactly where you found it! If you cannot guarantee the safety of the sea star, do not touch it at all! AS MUCH AS POSSIBLE, AVOID HANDLING SEA STARS. Photos also show putting sea stars inside the mouth, which poses potential health hazards. The body walls of some sea stars contain saponin and tetrodotoxin which can be toxic if ingested. In fact, there have been cases of poisoning in dogs that have eaten sea stars while in the beach. Also, species of sea stars that include bivalves in their diet can convey paralytic shellfish poisoning. The person who posted the video has been contacted. He was unaware of the guidelines and the hazards, and his group were not oriented by their guides. They were very respectful and have apologized, accepted their mistakes and have taken note of respecting wildlife. Again, don't hate, educate.